Pre-cleaning trusts grain or legume products lower the quality of the color particles within a good product or not. In this way, the quality of the product rises eliminated and processed 99.8%. 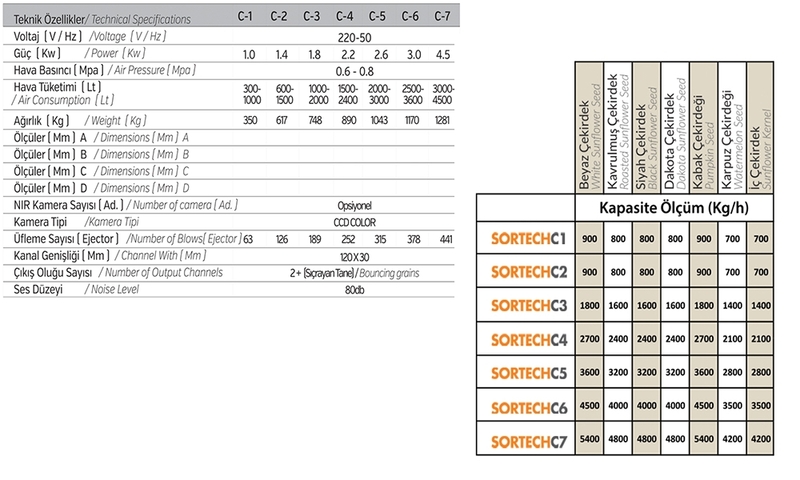 Sifting through and differentiate Sortech obtained in product quality is the latest point reached in today's technology.